Feedback is the utmost entity for a website. There are plenty of ways for collecting feedback on your website by adding a contact form, asking users to leave comments, creating polls and many more. There is one more option which makes involvement with users easy and fun that is Survey. Adding Survey is the best option to engage with users in the most interactive way. A Survey is the best option to improve your website. It allows direct contact with users regarding their issues, suggestions, and feedback. Good survey plugins make your form look great, attractive and easy to use with the best display of results in a beautiful format. Note: This is a Sponsored Post. If you wish to have a Sponsored Post at OnlineRockersHub, then do check our advertising packages. Here are some of the Best Survey Plugins for WordPress, listed down in no particular order. Each of them has the potential to convey the best for your system. You just have to pick one. WPForms is the most popular and trusted contact plugin for WordPress. 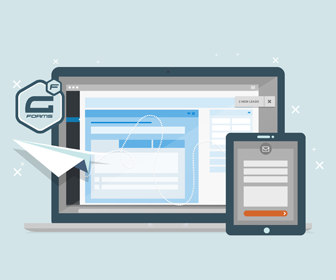 It’s user-friendly and powerful features make WPForms different from others. Its drag and drop feature help you make any type of forms in a minute whether it is a contact form or any online surveys. It has a variety of WordPress forms templates which helps you to choose the best fit for you. WPForms helps to integrate with email management services or any online payment portal with ease. Also for developers, it has HTML and CSS features which give you the environment to integrate your thoughts with the help of languages. It is 100% responsive which helps it to fit in any device. The instant notifications help to respond to leads quickly with our instant form notification feature for your team. Find out more about WPForms, at our WPForms Review. How to install and use the Surveys and Polls Addon in WPForms? Gravity Forms is one of the oldest and easiest form builder WordPress Plugins. It has a variety of form fields and limits the number of entries which helps in control and capture of data. It has conditional logic which allows you to configure form before submitting. Gravity Forms enables you to integrate with a variety of third-party services such as PayPal and provides a collection of forms with a wide variety of services and applications. It forms community add-ons. They give you a free demo and has an Elite Plan with feature add-ons. The basic plan starts at $59 per year. You can find out the complete pricing here. Formidable Forms is the most advanced WordPress form builder anywhere. It is the only WordPress form plugin that integrates views directly into the core plugin It is just not collect form data it also creates listings, directories, and any other data-driven web application you or your client can dream up. Also, It has seamless and simple WordPress Front End Editor which allows users to edit form entries, submissions & user-created pages or posts. It is an easy and simple to build complex forms by just Click or drag a new field into a form, with no HTML required. Complex calculations are easy with Formidable Forms. Formidable Forms has a unique way of showing reports with Graph and Chart Form Data. Display statistics from form entries, and graph your data in a variety of eye-catching styles. Crowd Signal is a quick and fun survey plugin. It is not a contact form plugin it is a perfect tool for the classroom, colleagues. Unlimited quizzes and unlimited responses to test your knowledge. It has an easy to use advanced survey editor with multiple options and CSS wizard to customize the look of your survey. The plugin has powerful reporting and filters to analyze your data and reports to share it. It has its iPad-app to collect responses from everywhere and also e-mails the link of the quiz to the audience or use the link as a banner on the website. Crowd Signal has been updated with API key and GDRP access tool. FormGet is a very productive contact form building tool which enables you to raise and place the contact form on your website in few steps with unlimited contact form entries in a single location so that you can manage it without much hassle. It gives an agent alert with an email on every ticket received via the contact form. The Conditional logic feature provided by this plugin does branching of your forms and makes them shorter. It enables you to upload images in jpg, png, gif or zip type of file format in your contact form for interactive questionnaires and in different languages. Spam protection by implementing captcha field on your contact form which works similarly as that of Akismet in WordPress. Payments can be collected in the form of contact form by PayPal. 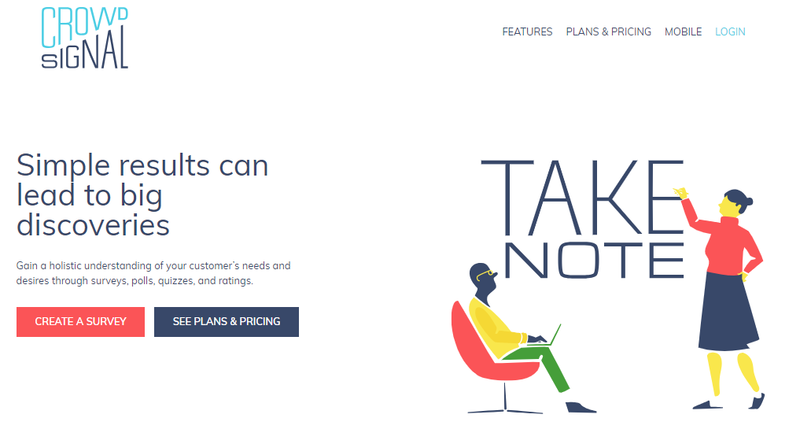 OpinionStage is an all-in-one Survey Plugin that lets you create surveys, launch them by way of landing pages, pop-ups etc and also measures result all within the same plugin. It is fully customizable. 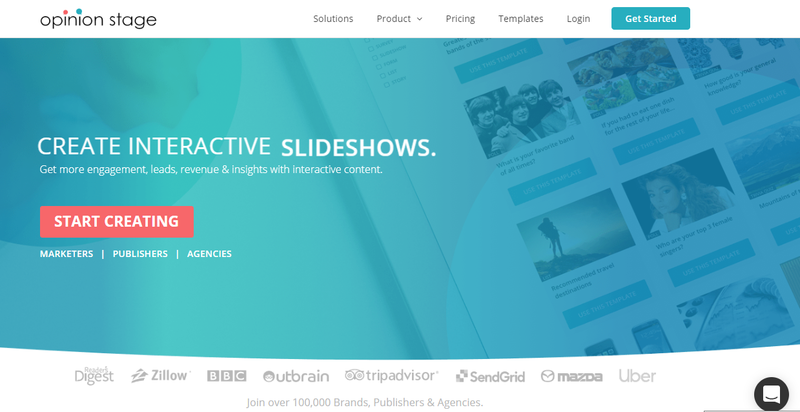 It gives you an option to create other kinds of Interactive Content such as Quiz, Polls, Forms, and Slideshows. Also, it has beautiful appealing designs that people will love to participate and beautiful surveys result with higher participation rates. It is a connective online survey that is built for maximizing the number of participants that complete the survey. Get detailed reports on all aspect of the poll results & performance and functionality which covers the number of impressions, a number of votes and voting CTR. You can also export all the information to a CSV/XLS file for advanced analysis. 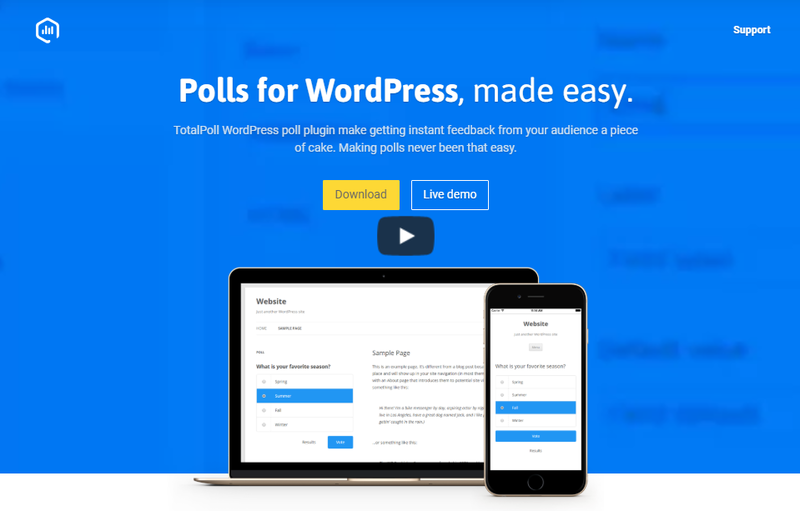 TotalPoll Pro is a responsive WordPress Poll Plugin that lets you create and integrate polls everywhere like a shortcode, widget even a direct link. It has Unlimited polls, choices, designs, colors, layouts, fonts with customization settings which enables you to export, import any poll with WordPress built-in tool. Detailed statistics, results, and information has been provided with logs, time, IP, browser etc….Track every answer, vote, log status, IP, time & many more fields to identify any fake answers, votes & attempts. It is very compatible with other plugins and technologies such as WPML, Plygang, HHVM, ACF, W3 Total Cache & many more. It is the second most affordable add-on in the list of creating survey WordPress plugins. Quiz and survey master gives total justice to its name. It is designed to add different types of quizzes and surveys to your WordPress site with multiple options. Each quiz and survey have unlimited result pages that can be customized. It gives a brief categorization for the number and types of questions per page, information required from the users, results for a particular category. Users can also share the results on social networking sites. The plugin also sends emails to the users regarding their scores of the quizzes or surveys they have taken. It has free as well as premium add-ons. Try the Quiz and Survey Master Plugin! e-Form which is previously known by FSQM Pro is one of the advanced and flexible plugins. It is the ultimate management system for online surveys, quizzes, donation, and user feedback meanwhile, it comes with a best in class e-mail newsletter providers and payment portals to give the best experience to the user with security. 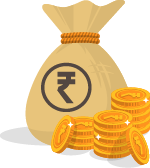 Integrated with some amazing mathematical tools helps the user to calculate estimated costs and finalize the payments. It has a separate scoring system for quizzes which helps you to show the scoring to certificate audience. After the vote, poll results are automatically shown to the users. You can see the IP addresses of the non-registered users and also how registered users have voted. Above are some best survey WordPress plugins a person can easily opt for. Some of them are free as well as paid too. It depends on the crowd that how much they can pay for a plugin. This article has truly elaborated many plugins & even a non-techie person can choose the best plugin out of them. Yogita Sharma is a Content Writer, freelancer, and social media handler. Has written articles on various topics mostly related to tech and health. Love to explore different things. Believes that Reading is the ultimate adventure.